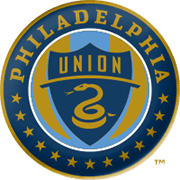 Following four consecutive wins in MLS, Philadelphia Union shared the spoils with Orlando City in their last league match. The U aim to return to winning ways in the Major League Soccer and a victory over Montreal Impact will see them cement their spot in top six. Philadelphia are eyeing their fourth straight win at home in all competitions, but Montreal should not be written off just yet. The Canadian outfit quickly bounced back from a 3-1 loss to Toronto, with the team rolling over New York Red Bulls 3-0 in their last league fixture. Montreal aim to stay in the play-offs berth, but seeing that the U are tough to beat at home, we predict the two teams are going to share the spoils in Sunday’s football match at Talen Energy Stadium. In their last meeting in MLS the U emerged triumphant. After spending four seasons at AZ Alkmaar, Haris Medunjanin joined Spanish side Valladolid and he appeared in 42 league games for Pucela. The Bosnian midfielder played for the likes of Sparta Rotterdam, Maccabi Tel Aviv and Gaziantepspor in the past as well and in 2014 he returned to Spain, signing a contract with La Liga side Deportivo La Coruna. Medunjanin scored two goals in 24 league appearances for the Galician outfit and in 2016 he joined his former club Maccabi Tel Aviv on a one-and-a-half-year deal. The left-footed footballer, who was born on March 8, 1985 won two European Championship titles with Netherlands U-21 team (2006, 2007), but he decided to represent Bosnian and Herzegovina on senior level. He made his first start for the Balkan Dragons in a 1-0 loss to Portugal in the 2010 FIFA World Cup play-off match. Haris Medunjanin currently plays for Philadelphia Union and his contract with the MLS club expires on January 31, 2017. 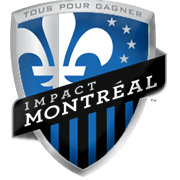 Montreal Impact is a Canadian soccer team, but they compete in Major League Soccer. The Impact are a member of the Eastern Conference and they have been participating in the major league since 2012. Montreal welcome their opponents at Saputo Stadium and the capacity of the club’s home ground is 20.801. The construction of the stadium cost CA$17 million and the venue was opened on May 18, 2008. The Saputo family invested $7.5 million in the construction of the stadium and, as a result, the venue was named Saputo Stadium. Montreal Impact did remarkably well to make it to the CONCACAF Champions League final in the 2014/2015 season, but Mexican team America proved to be a big catch for the Canadian outfit in the title game. Speaking of the Canadian championship, the Impact won their third domestic trophy in 2014, with the team beating Toronto FC in the final of the tournament. Montreal Impact play their home matches in blue and black shirts and black shorts, while the colour of their away kit is white.